The discovery of an important oil reserve situated in the Gulf of Guinea between Santo Tomé and Príncipe and Guinea Ecuatorial has piqued American, French and Chinese interest in this African region. By 2010, daily production could surpass the current 3 million barrels and eventually reach 6 million, while the reserves are estimated to contain 24 billion barrels’ worth of oil. Let’s examine why it is so important that control and openness prevail in the exploitation agreements. ACCESS TO RESOURCES, especially energy ones, has become a key element of international security and peace. And if there is a resource par excellence which the industrialized countries depend upon in order to maintain their growth and their standard of life and well-being, it is oil. Being the world’s largest consumer of oil and gas, the United States has included as an integral part of its National Security strategy a section that addresses free access to the oil market. Without a guaranteed flow of energy sources, the American economic system could collapse, which explains the resulting demand that the nation be assured access to the oil, even if it must be achieved by force. In general, industrialized countries can’t maintain their growth rate or quality of life without oil, and thus its supply could be the root of the conflicts of the 21st century, or at least be one of the principal factors that set the guidelines for International Relations to follow. Ever since September 11, 2001, and even more recently, after the failed war in Iraq, Iran’s nuclear threat and Hugo Chavez’s energy policies, it has become urgent and vital for the West, especially the United States, to obtain its oil from more diverse sources. What’s more, the fact that the United States is the biggest international consumer of crude oil makes the country especially vulnerable: while comprising only 5 percent of the global population, Americans consume 25 percent of the world’s oil, of which 60 percent is imported, and it is expected that this percentage rise to 70 percent before the year 2010. As long as the American demand for oil continues to rise, so will its exposure to the problems that affect the unstable oil-producing regions of the world. In view of this situation, Africa has come to occupy a privileged position in American foreign relations, especially for the necessity of assuring an oil flow, but also as part of its war against international terrorism. The United States currently imports 19 per cent of its oil from Africa, and it is predicted that this percentage will rise to 25 percent in the year 2015. Due to both reasons, the United States has collaborated to finance and equip the security forces of various African countries in which it is of interest to the Americans to maintain stability that would permit the continued extraction of oil and/or assure the control of the terrorist movements related to Fundamental Islam. In reality, the shift towards Africa that has been occurring since September 11, 2001 had its antecedents in 2000, when the American oil companies, especially ExxonMobil and ChevronTexaco, pointed out Africa’s energy potential at a meeting of the subcommittee on Africa in the House of Representatives. The conclusions and recommendations of the oil companies did not go ignored, and combined with George Bush’s electoral triumph (which was also a triumph for the Texan oil companies that had financed his campaign) and the terrorist attacks of September 11, 2001, they helped put in motion an energy policy program directed towards the African continent. The discovery of an important oil reserve situated in the Gulf of Guinea between Santo Tomé and Príncipe and Guinea Ecuatorial has been a factor in the growing American interest in this specific region of Africa. In the Gulf of Guinea area, daily production could jump from the current 3 million barrels to more than 6 million by the year 2010. In addition, its reserves are estimated at 24 billion barrels. The Gulf of Guinea region is different because, with the exception of Nigeria, the other countries do not belong to the OPEP, which means that their production is not limited by a quota. 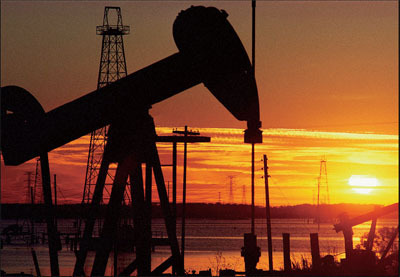 What’s more, they are offshore production centers, which assures that the extractions be far from possible conflicts. Additionally, if Africa currently exports almost 5 million barrels daily, it is predicted that African oil production will come to represent 11 percent of the global production by the year 2020 with some 12 million daily barrels, according to investigations carried out by the American Department of Energy. This is equivalent to the joint production of Iran and Iraq. The African oil’s handicap might be the instability of the producing countries. Given that Nigeria has already been the cause of significant altercations and the oil extraction has had to stop repeatedly because of violent attacks and protests in the Niger River valley, the United States has reacted by reinforcing the governments of the other countries in the Gulf of Guinea, from the rapprochement with Teodor Obiang (including his elimination from the list of countries that systematically infringe upon human rights) to the support and financing of the new president of Santo Tomé. Curiously, in October of 2003, barely three months after the coup d’etat in Santo Tomé, several American oil companies announced an investment of 500 million dollars towards the exploitation of the offshore oil fields. In July 2005, the Center for Strategic and International Studies (CSIS) published a report titled A Strategic US Approach to Governance and Security in the Gulf of Guinea in which it recommended the strengthening of American pressure to achieve governance and security in the area. But the United States is not the only country that is taking positions in Africa; we can’t forget that France has never abandoned its African networks of power, and that the Franco-Belgian company TotalFinalElf holds the number one spot in terms of barrels extracted from Africa. This company’s presence is felt in forty African countries, in thirty of which it holds the largest portion of the market. It is followed closely by the American company ChevronTexaco, whose presence is felt in fifty countries, and which has specialized in offshore surveying and extraction in deep waters. We should add to this that the European and American oil companies are getting a hold of the control and ownership of the successive privatizations of the African oil companies that promote the international financial institutions. Aside from the strategic role that Africa plays for the United States and France, it should be added that to for China to be assured oil provisions to be able to maintain its growth rate, it has disembarked in Africa with several proposals and projects which are competing with the American and European oil companies. China is currently responsible for 31 percent of global oil importation, and it is estimated that the country’s consumption will increase dramatically. Because of this, China is trying to make sure that it will have oil providers, negotiating agreements involving sectors that are not traditionally covered by Western help. It has recently signed an agreement with Nigeria worth 3.2 billion euros in infrastructure in exchange for 4 exploitation licenses. It is also the biggest investor in Sudan, from where it obtains 8 percent of its imports, and in exchange provides the government of Jartum with weapons and support in the UN Security Council. As I concluded in my first analysis of the importance of oil for the producing countries in Africa, the result is not promising. At the beginning of the year the annual meeting of the global economic powers was held in Davos, and the main topic was the oil industry. A study by the consultant PriceWaterhouseCoopers shows that politics of oil have currently reached the same levels of importance that they had in 1973, when the first oil crisis occurred. Likewise, the reports of two of the biggest companies, ExxonMobil and Royal Dutch Shell, made public in Davos, predict in their strategic plans a 50 percent growth in world energy consumption, 80 percent of which will be satisfied by fossil fuels (oil, natural gas and carbon). With these figures in mind, and the added pressure of China’s entry into the oil market, the predictions for Africa are not very promising. As the West and China’s dependence on crude oil rises, the possibility that ethics will prevail in the commercial transactions diminishes. For Africans, oil will continue to be a synonym of corruption and poverty, of the deterioration of the environment, and of violence, all for the exclusive benefit of multinationals, local governments, and Western powers. The power is in the hands of the new Western and African leaders to bring about a change in those states’ policies that will prioritize the control and openness of the agreements, concessions, and profits, to pump revenue into the producing countries and not into the pockets of a few leaders.